 Public Lab: Introducing the Coquí – it's a frog and a tool! Have you heard of the Coquí? They are sonorous frogs from Puerto Rico, and the subject of an awesome Menudo video from the 1980s. The Coquí frogs (and sort of the Menudo video) were our inspiration for naming the Public Lab Coquí, an easy, do-it-yourself circuit that makes a buzz-buzzing sound when you dip it in water. The Coquí circuit measures conductivity, a key water quality parameter. Conductivity is a measure of how "conductive" water is of electricity. If water is very pure H2O then the conductivity will be low because electricity doesn't pass well through water. But if there is a lot of stuff other than water in the water -- like mud, chlorine, or salt -- then water conductivity will be higher. High conductivity is not always a "bad" thing -- lots of rivers carry organic material, for example. And likewise, low conductivity doesn't always correlate to good water quality. Water with a ton of sugar in it would show up as low conductivity because sugar also doesn't conduct electricity very well. That said, water conductivity is a generally interesting indicator for how much "not water" is in your water and can help you ask questions about what that "not water" might be. 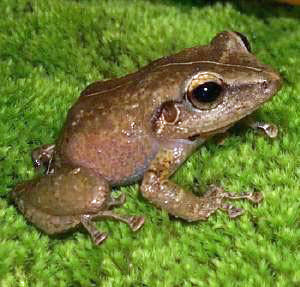 The Coquí was developed by Don Blair and Jeff Warren along with the Open Water Project based at the Public Lab. It's designed to be used in educational settings, and it doesn't measure precise values for water conductivity. Rather, it outputs a conductivity measure as a sound. You dip the Coquí's probe into water and it makes a high-pitched sound for higher conductivity and a low-pitched sound for lower conductivity. I teach data journalism and I have used the Coquí with my undergraduate journalism students to collect water samples from the community, test their conductivity, and then reflect on the role of journalists in regards to "sensors". Below is a map the students made of water conductivity in the Greater Boston area. After running this module several times, I worked with graduate student Akshaya Sawant to create a free, illustrated guide to running a sensor journalism workshop. You can use this to help you get started using the Coquí inside or outside the classroom. The Sensor Journalism Guide for Educators uses the Coquí to walk journalists and storytellers through an exercise in sensor journalism. The Coquí kit is available from the public lab store. If you use it in the classroom or workshops, we want to hear about it! Post your research notes or ask a question and use the tags "Coquí" and "water-quality". Catherine D'Ignazio is an organizer with Public Lab and an assistant professor of Civic Media and Data Visualization in the Journalism Department at Emerson College. Learn more about her work at www.kanarinka.com.